This is how it all started! With our beloved supper club which is still going strong 8 years after we hosted our first table of hungry guests. We were guests on Jo Good’s BBC Radio London afternoon show back in January talking all about it!…..
** 2019 ** Join us in our 10th birthday year! NEW DATES ARE RELEASED EVERY MONTH! FOLLOW US ON SOCIAL MEDIA OR JOIN OUR MAILING LIST TO RECEIVE YOURS FIRST! Drop us an email stating which advertised date you would like to attend and how many places you would like. We will also need to know if any of your party are vegetarian or have a gluten free diet. We create alternate dishes if so! Unfortunately we cannot accommodate the following; allergies to dairy or mustard seeds. We also cannot accommodate Vegan diets.If we have places available you will be sent a booking confirmation via email to secure your places. 7 days before the supper club, exact location, time and additional information will be emailed to you. All of our dishes are prepared in a kitchen which does handle nuts so if you have an allergy to ANY TYPE of nut we cannot guarantee that our dishes will be nut free. Please note that unfortunately we cannot accommodate children or babies at the supper club. We are based in Tufnell Park, North London. We cook for up to 12 guests to give the evening an intimate feel so all our guests can get to know each other and converse around our large reading room dining table! If you need to cancel your booking for any reason, we do ask for at least 48 hours notice as we may need to fill the space, our ingredients are fresh and a lot of time and preparation goes into the supperclub. This is how our menu works. We source local and fresh ingredients for our dishes and we use what is available to us at the time and in season. We ask you at the time of booking if any of your party are vegetarian or gluten free as we can cook for these particular diets. All you have to do is bring your own alcohol to have with supper, turn up, sit back, relax, socialise and we will do the rest. There is no menu to choose from, the dishes come out as they are prepared. We do provide the menu for you to refer to as you make your way through the courses! 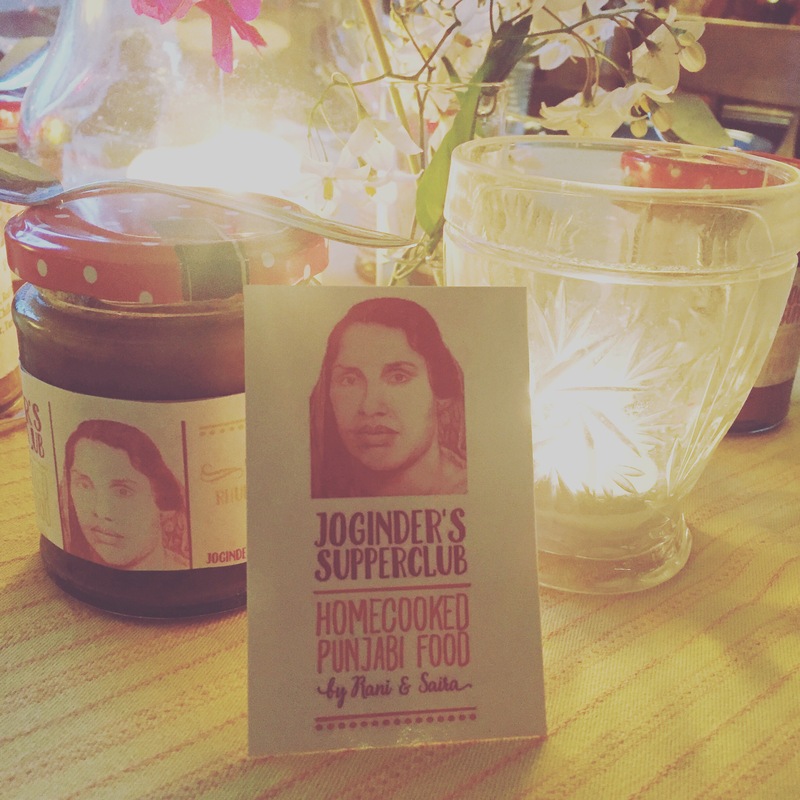 So please do join Ma Rani and Saira at Joginder’s Supperclub for an authentic taste of North Indian Punjabi cuisine cooked from both traditional family recipes and new creations. We hope that our supperclub is a new dining experience for you and nothing like any restaurant! And 8 more years of comments in our book….. Copyright © Joginder’s Supperclub 2016. All rights reserved. I know! I will give you plenty of notice next time. I think we will probably get to you early in the new year!. Your first night looked amazing. What a cook! Had a lovely meal last night and really enjoyed the evening. Thanks for being so welcoming and making us feel so at home. Recommended. Thanks Kathleen! We really enjoyed meeting you, Helen and Din. 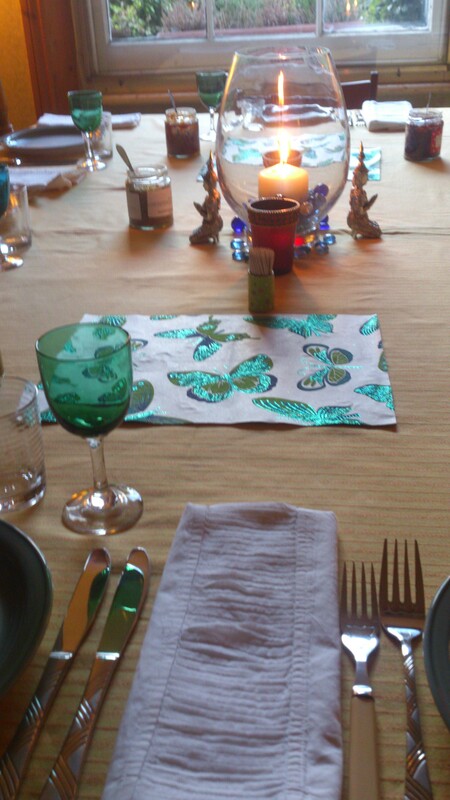 A good first supperclub experience for us all! sign me up for anything that doesn’t require a passport to reach! I am preparing the latest Cobra Good Curry Guide. Would you like me to enter you into it? If so let me know how people can contact you. Many thanks for visiting our website and taking the time to contact us. We would be happy to be added to the guide. Our guests always contact us via our email address jogindersupperclub@hotmail.com or are directed to our website and facebook page. The Guide will be out this autumn and you’re in it.